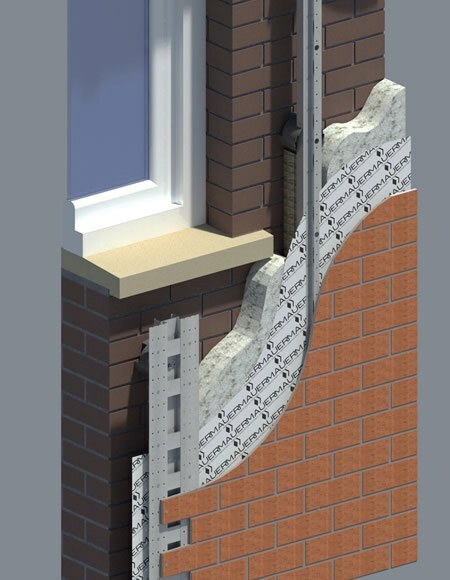 Mauer is a manufacturer and installer of a unique external wall insulation (EWI) system to address the challenges and obstacles faced in the current solid wall insulation market. The facades mimic a stone or brick finish and are manufactured offsite and improve the thermal efficiency of buildings. In order for Mauer's system to achieve certification, Lucideon developed a customized testing program to prove the durability and performance of their system under accelerated weathering, wind and extreme rain conditions. Lucideon built a number of full-scale walls in the laboratory, on which Mauer installed their system to replicate a real-life situation. The system was subjected to a program of long-term accelerated ageing, including heat-rain, heat-cold and freeze-thaw conditioning in order to assess the aesthetic acceptability of the weathered finish and prove a plus 30-year design life. Soft body and hard body impacts, and bond strength testing of the finish were carried out on the weathered sample to assess the critical performance of the wall when in actual use. Additional testing was carried out to establish the wind load resistance of the system and to classify the system for use in extreme conditions through wind driven rain testing and the incorporation of a window opening. Mauer presented the data to their certification body and were able to achieve a recognized level of certification in a short timeframe, which enabled them to be compliant and bid for a large-scale refurbishment project.